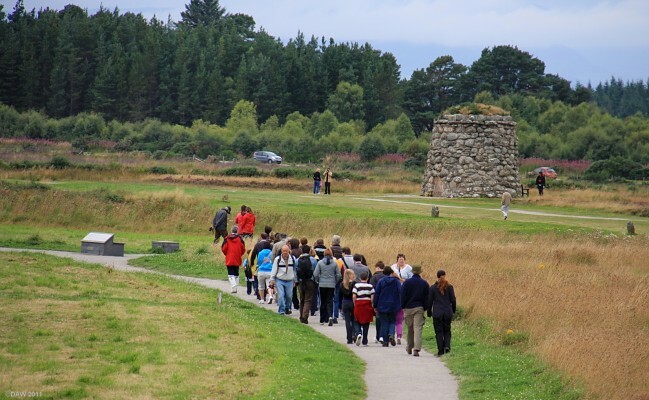 The sound of marching feet can be heard every summer at Culloden, its not the ghosts of fallen Jacobites though. Between 1500 and 2000 Jacabites were killed or wounded in a battle that lasted only about an hour. The small stones in front of the monument mark some of the mass graves where they were buried. Map location.